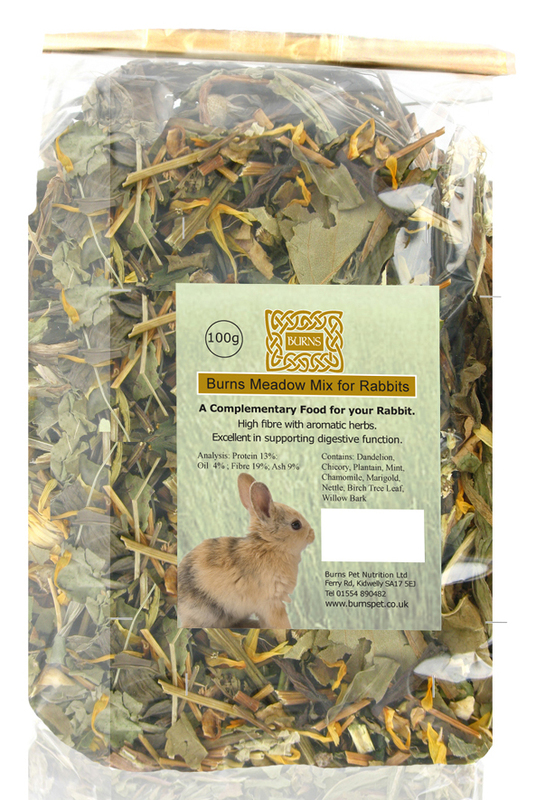 Burns Meadow Mix is a unique mix of herbs and wild flowers which can be used as a healthy, complementary treat for your rabbit. It is high in fibre and contains aromatic herbs to make it extra appealing. A great aid to support healthy digestive function. Dandelion, Chicory, Plantain, Mint, Chamomile, Nettle, Birch Tree Leaf, Marigold, Willow Bark. There are currently no questions for Burns Meadow Mix for Rabbits - be the first to ask one!